Cuando su crucero atraque en la orilla, puede ser difícil encontrar excursiones que se aseguren de que llegue a su crucero antes de que zarpe. Las excursiones por la costa de Celebrity Constellation Kochi son la solución perfecta, ya que se reunirán con usted en su barco y le llevarán de regreso a tiempo. 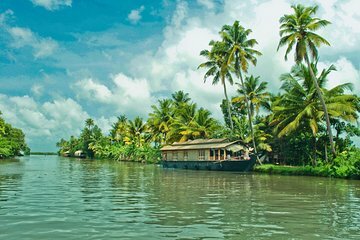 En función del día de la excursión, podrá montar en un barco flotante a través de los remansos de Alleppey; dar un paseo en barco por el páramo de Alleppey y visitar el Fuerte Kochi, o visitar varios puntos de interés como el Palacio Holandés, la Sinagoga Judía, la iglesia de San Francisco y la basílica de Santa Cruz. Esta excursión por la costa de Kochi se adapta a su tiempo de crucero. Brilliant tour and so well organised. So much more then i expected . I so highly recommend this as a shore excursion. Fantastic value. Guides were very good. Amazing trip. The coach was waiting at the port for us and our brilliant guides, Crispin and Babu, kept us informed and entertained on the 2 hour journey to Allepey. Our party was split in to 2 groups of 16 for each houseboat which meant that there was plenty of room on board. The trip through the backwaters was incredible. 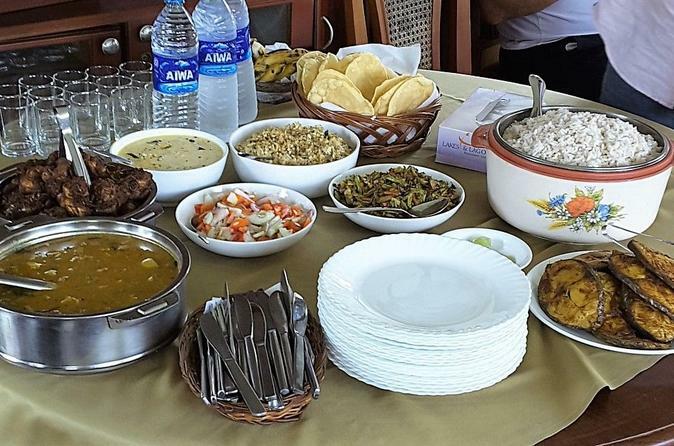 Keralan curry buffet lunch on the boat was fantastic. The trip on the way back to the Chinese fishing nets was a bit disappointing to be honest. Looks nothing like the amazing images you see online. Very crowded, rubbish everywhere, a fish market that smells rank and a lot of hassle from hawkers who will just not take no for an answer. Didn't spoil the day though because the houseboat had been so good. Would definitely recommend it. It was the best excursion on our India Cruise. Very relaxing and charming. This was a rewarding trip from start to finish, You see the real India as you gently go round the different waterways. The houseboat we travelled on was a quite large boat and it was very roomy on board, there were two bedrooms with toilet facilities which were very clean and tidy. Three of crew cooked us a very nice meal, they were congratulated by all the tourist passengers. Well done. I can recommend this tour to anyone calling at Kochi. I would highly recommend this trip it is good value for the money compared to rip off prices aboard cruise liner. very good explaining everything and he did not rush the trip unfortunately I have misled his name. Coming off the cruise sehip it was easy to find the guide as he had a large blue umbrella with companys name on it. This is a trip not to be missed. We were absolutely delighted with the tour. Was met off the ship as said . Was greeted with flowers by our tour guide Sanjay. It was quite a long journey to Alleppey, but Sanjay kept us informed all the way with the history of Kerala. The trip on the houseboat was so peaceful and the weather could not have been better as it was not too hot. We had a lovely lunch onboard cooked by the staff, it was delicious. On the way back to ship we had a stop at the Chinese fishing nets . We also stopped at a washing dobhi which was really interesting. There were 12 of us on this tour. I cannot praise Sanjay high enough. Would highly recommend the trip and would certainly use Viator again as from start to finish everything was great.